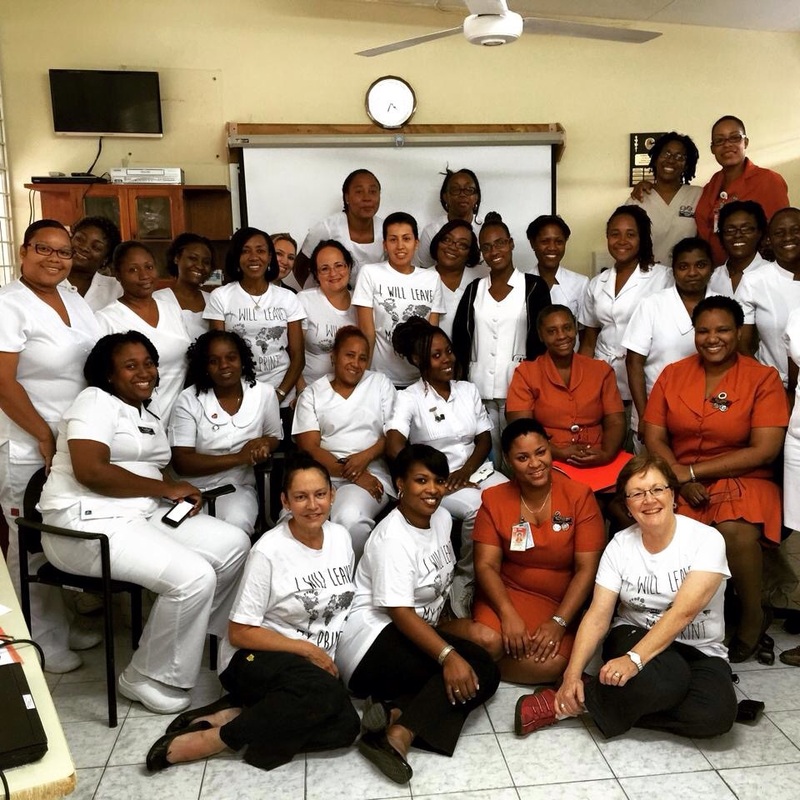 Footprints Foundation has created an amazing partnership with the Minister of Health in Jamaica to help reduce Maternal and Infant Mortality by training a total of 1200 doctors,nurses,midwives working in primary care around the island. This iniative is called PROMAC. 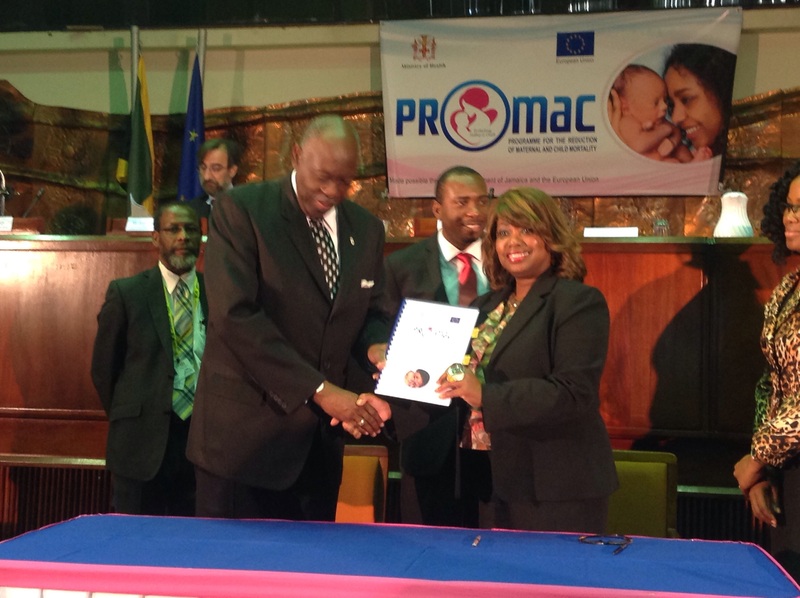 PROMAC is a partnership between the government of Jamaica and the European Union. This program gives Footprints Foundation the unique opportunity to team up with Jamaican Faculty.We train collaboratively and respectfully. Most mothers deliver in a hospital setting. Maternal deaths are caused from indirect causes such as cardiac diseases,eclampsia, gestation diabetes, sickle cell disease and HIV. The curriculum we use is provided to Footprints Foundation by the government of Jamaica. 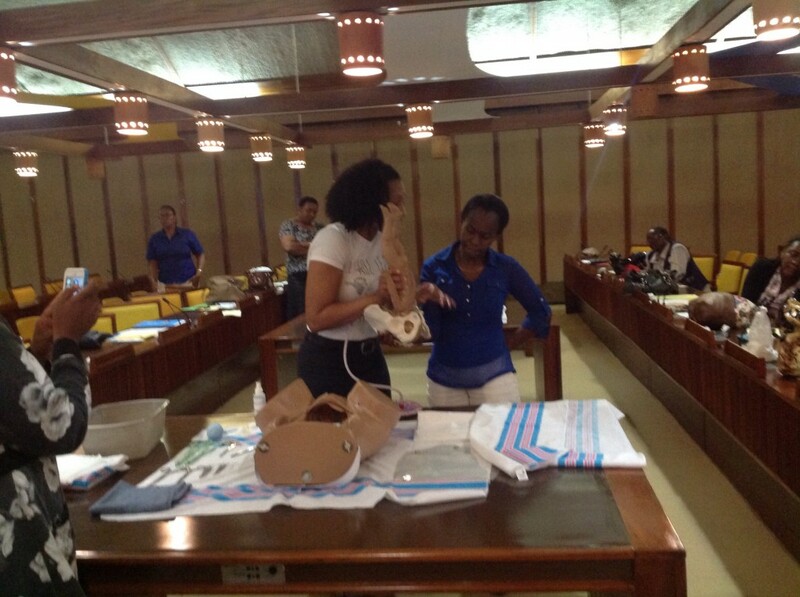 We seek to partner with Universities and Organizations to help save the lives of mothers and babies in Jamaica. 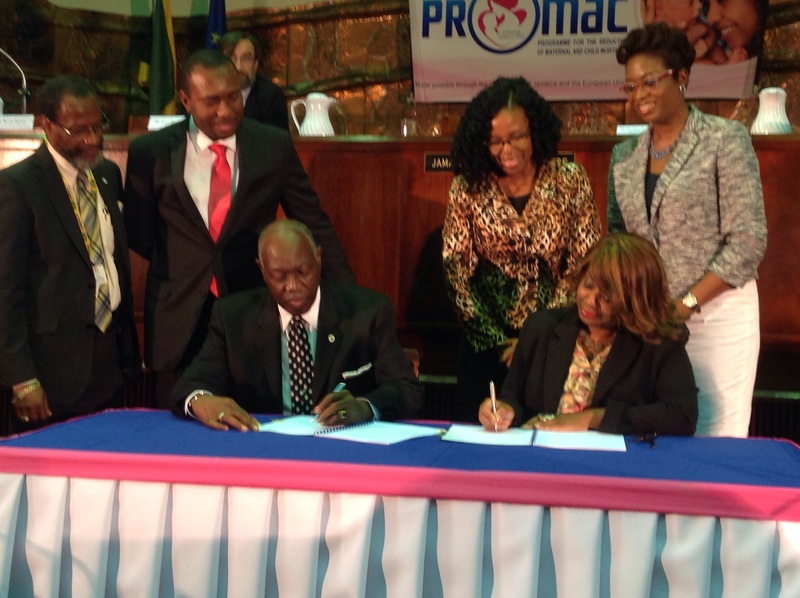 Signing of Memorandium of Understanding between the Government of Jamaica and Footprints Foundation. 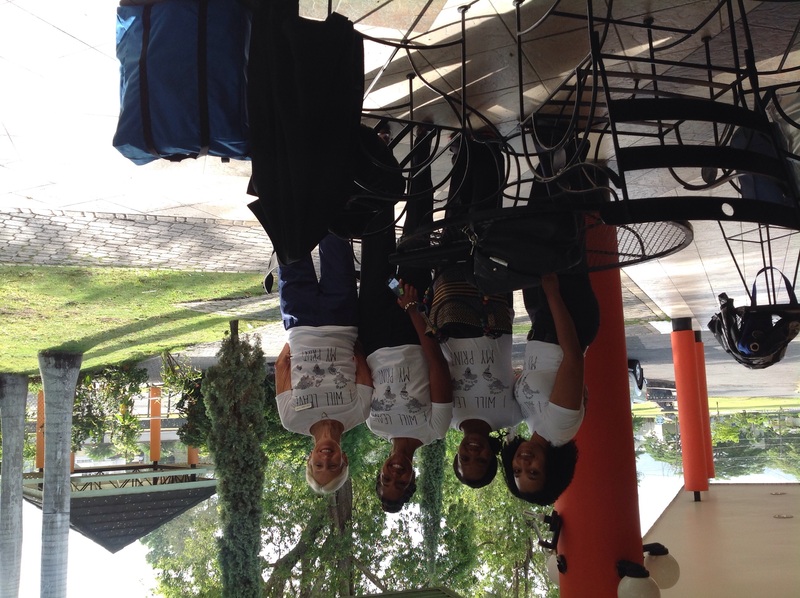 Get All the information about joining Footprints Foundation Global Faculty on our next Training of Obstetricians and Midwives in Jamaica and Ethiopia.Please note we are not a medical mission so we do not provide patient care. • Management of hypertension/ gestational diabetes /other co morbidity. • Prevention of unwanted and mistimed pregnancies. * February 15-19, 2016 – Primary Care Doctors. At Least 2 years experience in Specialty. Must be flexible, Easy going and Culturally Sensitive. We are sorry we are unable to accommodate special dietary needs or tourist status visit. Travel can be very strenuous,we ask you to manage you mental,emotional and physical wellbeing. We want to make sure our trip remain joyous for all involved. Airfare plus $950 includes lodging, breakfast,lunch,dinner (alcoholic beverage not included)transportation,tips for driver and one T shirt. Additional T Shirts can be purchased for $10 each.Price subject to to change to reflect in country price changes. All Trainers must wear Footprints Foundation T shirt with black or navy blue slacks to allow for uniformity while conducting training activities. Nestled in the tranquil environs of the former Mona Estate, The Lodge offers quiet comfort to all guests seeking relaxation after a long day of training. Please remember to leave a tip for the persons who take care of our rooms everyday. We do not anticipate any personal security risk to you while on this trip.However,we discourage your wandering off from the group with persons unknown to you. We discourage and future gift giving between Global Faculty and Attendee. Transporting an package from persons not previously know to Global Faculty is PROHIBITED. If you do so you indemnify Footprints Foundation of any and all liability. We will be training around the country. 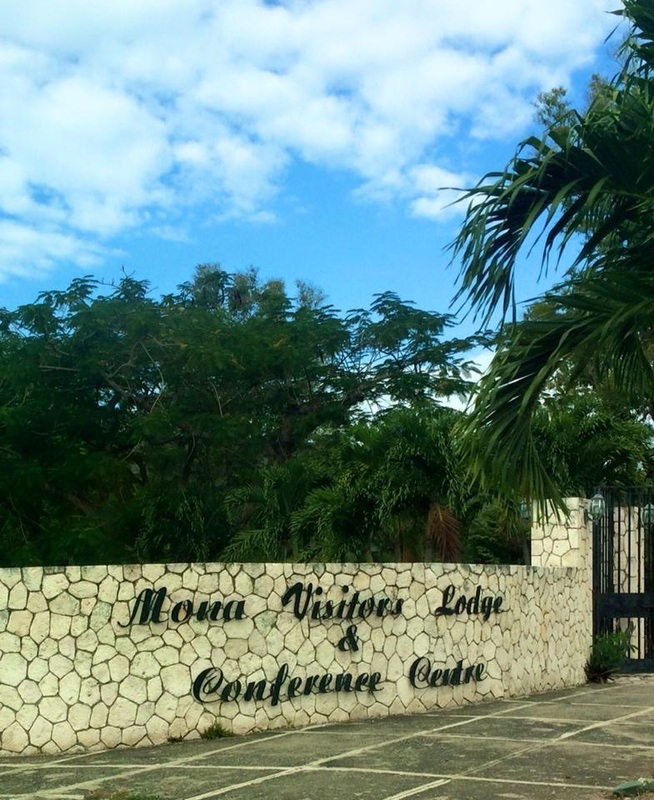 The four locations as we know it now are Kingstion, Mandeville and Montego Bay and Ocho Rios. Group size will range from 50-100. What a way to see the beautiful island of Jamaica. You must have one that does not expire within six months of your return to USA or you will not be allowed to board the plane in the USA. No exceptions are allowed by the airlines. There must be at least 2-3 blank pages in your passport for immigration stamps. If you need more pages, contact your local passport office to have more added. Please do not video tape or photograph anyone without their permission. Always show the persons photographed the image you have captured. No photographing of young children.